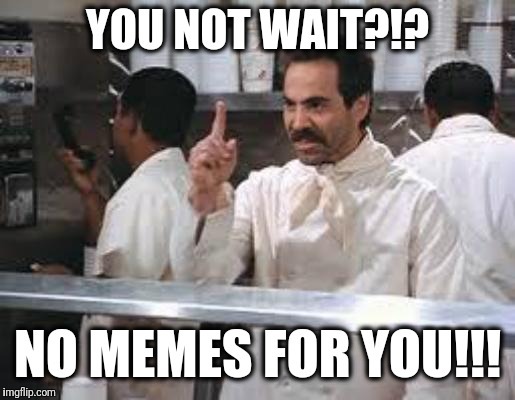 It used to be that I could submit daily at 5:00 am Boston time. Now it seems to be roughly 7:30. 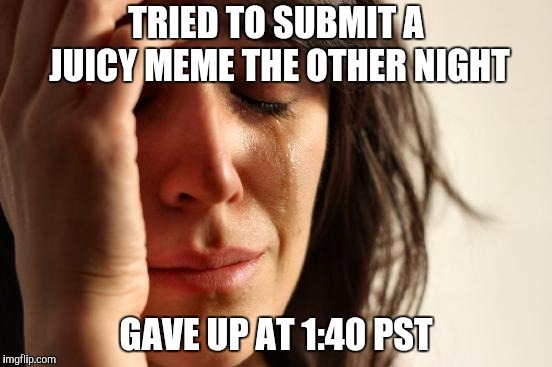 A long time ago I noticed the submission count got reset somewhere around midnight Pacific Time, but was effected by whether Daylight Savings time was in force or not. Was commenting with clinkster about that in the past day or so. 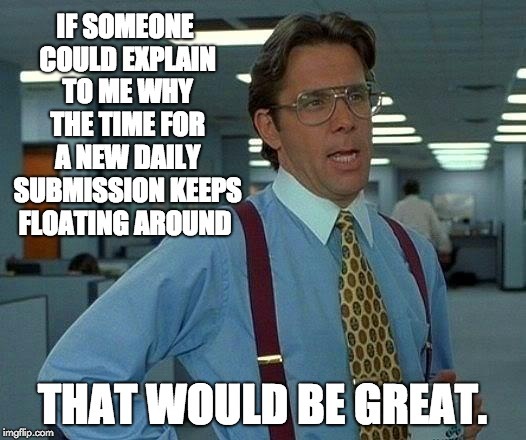 I hadn't heard or noticed that it changed, I haven't been submitting much lately. Maybe it's now moved to Zulu time, ie UTC +0. Thanks, Andrew. The time seems to be controlled by a human. And while I now see it as roughly 7:30, it could be 7:40 or some other random time. I watched my submission reset closely this morning. Received 3 more at about 8:00am EDT. That is noon Zulu time, UTC 12:00. I bet it is the new fixed reset time and will change by one hour when DST ends. Thanks very much, Andrew. I appreciate the info. 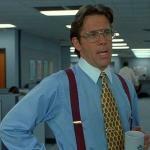 IF SOMEONE COULD EXPLAIN TO ME WHY THE TIME FOR A NEW DAILY SUBMISSION KEEPS FLOATING AROUND; THAT WOULD BE GREAT.